How can we use therapeutic oils during the season of Virgo – late August to late September – and what are the best essential aromatherapy oils for Virgo themselves? We look to the stars – and ask Natalie Delahaye – for answers! Natalie is a consultant astrologer who developed her learnings with the Faculty of Astrological Studies, and has been published internationally and commented on the Royal Family’s personal astrology on CNN World news! Her rich experience and background in complementary therapies includes hypnotherapy, and working with aromatherapy in her astrological practice, recommending blends for clients. Essential Oils For Virgo Season! In this post, we’ll explore the essential oils that have a have a rejuvenating, healing effect on Virgo, which are Cedarwood, Peppermint and Fennel. Mercurial Virgos tend to live in their heads, and can benefit greatly from some mentally detoxing time, when they can calm that chattering mind of theirs. Vaporize some drops of cedarwood as an incense for meditation or yoga…. it will help to clear your head and deepen your breath. It is an ancient oil, though still used today as a temple incense in Tibetan monasteries. Cedarwood is an essential oil that works well with hypochondriacs, making this a perfect choice for Virgo. Virgo rules the abdomen, this is the sensitive area of their body, where stress and worry manifests for Virgo, in the form of delicate digestion and sensitivity to certain foods. Peppermint is a classic stomach remedy. Add a few drops into your footbath, mix a few drops into your massage oil and apply to your solar plexus and feet. Peppermint is a great pick me up and aphrodisiac too. Sweet Fennel is a Mercurial herb, ruled by Virgo. 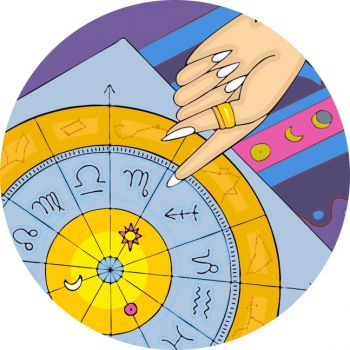 It has a restorative, balancing effect on Virgos, mentally, emotionally and physically. It also has diuretic effects, and has been used for slimming, since 16th century. Add 5 drops to your massage base oil for a reviving, cleansing massage. Or, add 5 to 10 drops to your bath, for a mentally enlivening, refreshing morning bath or shower. There are many ways to absorb essential oils. You can either use a diffuser, add up to 5 drops to bath or have an Aromatherapy Massage. I suggest using 10 drops to every 40ml carrier oil for a massage. Always do a skin test for oils you’ve never used, in the unlikely event of an allergy. To do this, add a drop to the back of your wrist, via a cotton bud, apply a plaster and wait for 24 hours. Natalie Delahaye is a consultant astrologer, writer, and hypnotherapist, with a background in complementary therapies. With a flair for imperial horoscopes, she joined CNN World News to talk about the birth chart of Prince George, and has also produced bespoke reports for the Royal family.